When you think of great American centers of fine art, what comes to mind? New York? LA? Great places, to be sure! 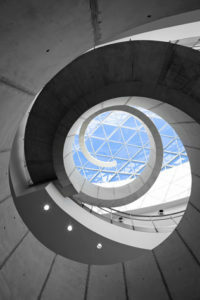 But with the surge in pop-culture popularity of fine art, one must assume there are collectors, curators, appreciators and artists in every nook and cranny of this gigantic nation who have an inside scoop on places to find wonderful works—hidden havens for fine art—places and spaces you may never think to seek out. Well, at Emillions, we are so passionate about art, we wanted to shine the spotlight on a few places that deserve a road trip and an overnight stay. Some small enough and out-of-the-way enough that you’d never imagine ending up there—until, suddenly, on the recommendation of a particularly fun and reputable art blog (shameless self-promotion)—here you are, standing right in the middle of a quaint little enclave of fine art galleries and coffee shops. 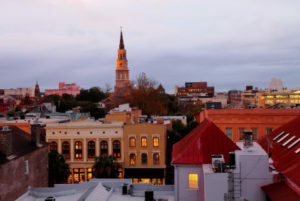 1) Charleston, SC: Charleston has grown into a vibrant center for art—its galleries and art venues spreading into the urban mix like fronds of cultural shade, sheltering citizens from the southern sun. This enchanting waterfront town has it all: beaches, isles, history, food, art, music and fun! Charleston is best summarized by Hannah Nuccio, spokesperson for the Gibbes Museum of Art. She says, “Charleston is a small city with a big cultural scene. Whether you are interested in the visual arts, music, film, or the performing arts, there is never a shortage of shows to attend or cultural groups with which to engage. Spoleto Festival USA is always a highlight of the cultural calendar, but Charleston is a haven for the arts year round.” So, don’t even hesitate for a moment. You’re sure to find great art inspired by the incredible atmosphere and lifestyle of this first art haven on our list. (Want to go? Things to do in Charleston, SC). 2) St. Petersburg, FL: It’s easy to be overwhelmed by the sheer magnitude of opportunities for interacting with the arts in St Petersburg. 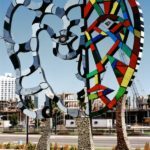 There are seven art districts, (yes, seven) all with a unique flavor and varied offerings to behold. Museums, theaters, galleries, studios, myriad outdoor spaces and other art venues dot the cityscape. It almost seems as though you can’t traverse one block without finding a fantastic chance to engage the arts. The city’s love of the arts is confirmed by the fact that it provides grants for eligible artists who seek to better the culture of this amazing hidden haven. Want to go? Art districts in St. Petersburg. 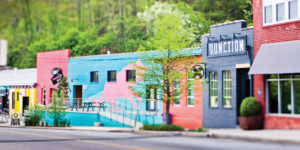 3) Asheville, NC: With galleries and studios all along the French Broad River, and a plethora of delightful locations in the downtown area, Asheville is just the kind of southern slowdown scene that does the soul some good. 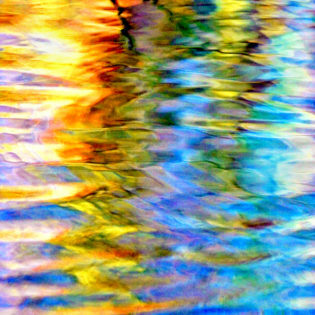 From the Odyssey Center for the Ceramic and the North Carolina Glass Center, to the Fringe Art Festival and the River Arts District, there is a diverse offering of art wares and works from the ultra-affordable to the uber-exquisite. Asheville is sure to excite any art lover! Want to go? Things to do in Asheville. 4) San Diego, CA: Whether it’s the San Diego Museum of Art, the Art Institute, or Spanish Village Art Center, this southern Californian paradise of a city has endless opportunities to make unique discoveries and one-of-a-kind finds. In addition to the natural beauty of the region, there is a vibrant community of authentic original artists sharing their work through a diverse array of venues and outlets. One can make a list a mile long of must-see places that can turn a weekend of exploration into a long weekend in no time at all! In a city the size of San Diego, it can be daunting to know where to start. Start here. 5) Manitou Springs, CO: Nestled in the foothills of Pike’s Peak, this city in the centennial state boasts a host of art galleries and cultural boons. 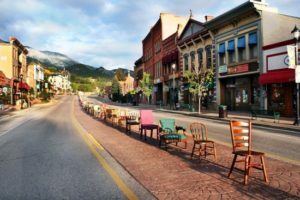 These monuments to heritage include the Manitou Art Center, Manitou Town Clock and events like the 3rd Fridays Art Walk make it a true art city. Since the late 1800s, Manitou Springs has been a corral for artists of all disciplines. See, hear, touch, feel, buy, stay. History and artistry converge in this incredibly beautiful centennial city. Want to go? Things to do in Manitou Springs, CO.
6) Lancaster, PA: Just hours from Baltimore, Philadelphia and NYC, Lancaster has been mostly known for its lush farmland scenery and its population of Germanic Amish folk. But unbeknownst to many, historic Lancaster city, founded in 1729, has a bourgeoning fine art scene. Mayor Rick Gray says, “What I love about the arts scene here is that there is something for everyone, all in a short, walkable radius. I am a big live music fan and also appreciate visual and performing arts. Easily in one day, I can see a show, buy hand-painted greeting cards and visit galleries off the beaten path. Lancaster is very community oriented, and artists support [other] artists in this town. 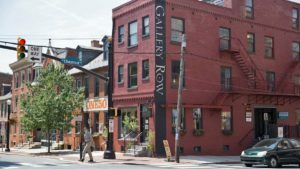 If someone has an interest or passion, there is a platform here to see it.” With so many, galleries and boutique art places, Lancaster is a quaint microcosm of what small towns all over the country have to offer. Want to go? 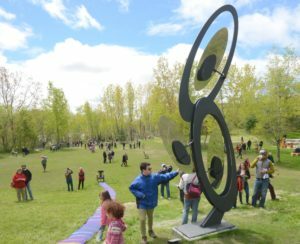 Things to do in Lancaster, PA.
7) Stockbridge, MA: From the Norman Rockwell Museum, a collection of the famous artist’s incredible works, to the newly opened Turn Park Art Space, an outdoor park filled with sculptures, an amphitheater and plenty of scenic views; Stockbridge is a fantastic art town. The people of Stockbridge take immense pride in their northeastern beacon of culture and creativity. Steeped in history and positioned on the western border of The Bay State, Stockbridge is only a two-hour drive from Boston. Stocked with historic inns and gathering places, Stockbridge is sure to please art seekers of all stripes. Want to go? Things to do in Stockbridge, MA. 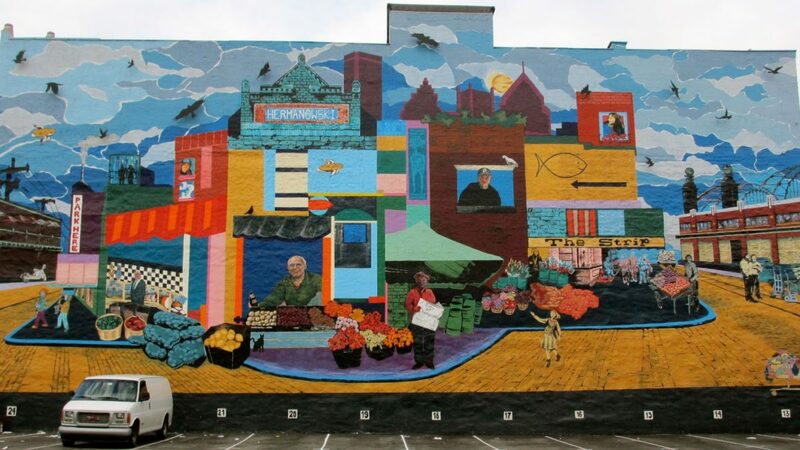 8) Pittsburgh, PA: The steel city could now affectionately and accurately be nicknamed the mural city. 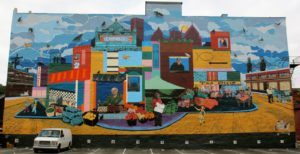 Boasting approximately 400 large-scale works of art, Pittsburgh’s urban landscape, which would have struck the out-of-towner as yet another example of aging infrastructure and decay, is now proving that brick and mortar can be a beautiful, large medium. Giant clay canvases aren’t the only art to see in this rejuvenated and gentrified city. From playful sculptures to interactive fountains; mobile phone activated light displays to massive bridge installations, Pittsburgh is a place exploding with the energy of a city-sized creative kaleidoscope. There is no better example of this momentum and excitement than the Cultural District. “Located between the Convention Center and Stanwix Street in the heart of Downtown Pittsburgh, the 14-square block Cultural District encompasses over 90 retail shops, 50 dining establishments, seven world-class theaters, eight public parks and art installations and a dozen art galleries.” Want to go? Things to do in Pittsburgh.